We know how irritating it can be to have a seam broken in your carpet or ugly wrinkles that can be trip hazards right in the middle of your traffic areas. Now you can have those dangerous, unsightly problems fixed fast, fixed right, and priced reasonably. We can also tighten loose carpet and fix those areas where the carpet has come out of the metal edging. Don’t forget that your cars have upholstery and carpet. And if you have a boat or a RV, even an airplane. 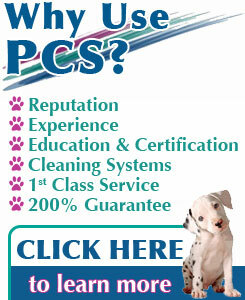 we can clean them while we are at your home or business establishment. When is the last time you cleaned your mattresses? Undesirable critters feed on dead skin cells that our bodies are constantly shedding. Let us deep clean your mattresses, sanitize, and Scotchgard them. You’ll sleep more soundly knowing that they are properly cared for by our certified cleaning specialists. Don’t be without out this valuable protection against dry soil and spills. Keep your carpet and upholstery cleaner, spot free with this fine product. Just ask us how this time tested product works and we will be glad to explain it to you. Why not have your whole house smell fresh and odor free? Our general purpose deodorizer is made to remove those odors that build up deep within our carpets and make them smell spring fresh again! Pet, kids, and other causes sometimes create persistent odor problems that need extra attention. This product attacks odor problems at their source. Most of us have them, and no matter how careful we are sometimes accidents happen. When they do … you’ll need this treatment to cure the resulting problem. Need to replace your carpet, tile, wood, or vinyl flooring? Look no further. Call our sister company Lake Norman Floors at (704) 528-5109 for all of your flooring needs. Visit their website at www.lakenormanfloors.net. You can get tremendous deals whether it’s one room of carpet or a whole house of wood flooring. Give us a try, you will be surprised at the money we can save you on quality flooring products. Methods of payments: We will work with you and your insurance company for payment of our mitigation and restoration services. Also, we will reimburse you up to $500 of your deductible (Ask for details when you call us at 704-663-2787). Indoor air quality is a major issue in the south due to all of the polen that is in the air in the Southern States. Many people have family members will allergy problems that will circulate through your HVAC system. We will clean your ducts and sanitize them to improve your indoor air quality. Ask about our green products for this service.